In developing Touch Cosmopolitan, we thought about people who are not so easily satisfied. These discerning individuals will recognise the attention to detail and nuances. 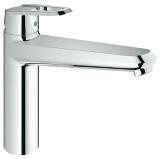 The high-gloss chrome finish elegantly emphasises the tapered edges. 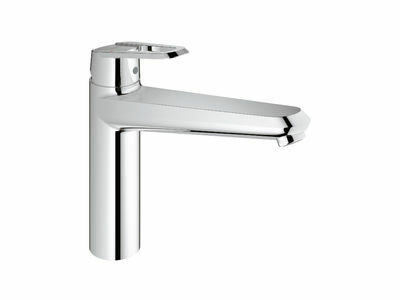 You can expect the same perfection in the functionality of the faucet as in the form. The loop lever simplifies handling and is extremly easy to operate thanks to GROHE SilkMove®. The GROHE StarLight® technology guarantees an attractive appearance over the lifetime of the faucet. The pull-out spray increases the operating radius and offers two different sprays.